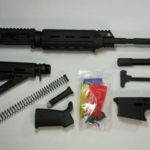 This AR-15 Assembled Upper Magpul rifle kit contains all components to complete YOUR AR-15 Rifle except Magazines, Jig, tooling, and sights. The Kit is a 16″ AR-15 1 x 7 twist M4 Feed Ramp Rifle build kit With 7075 forged Aluminum Upper and 80% Lower Receiver. 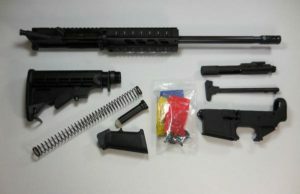 Comes with a nitride finished barrel capable of shooting both .223 and 5.56 ammunition with no pressure or cycling issues. 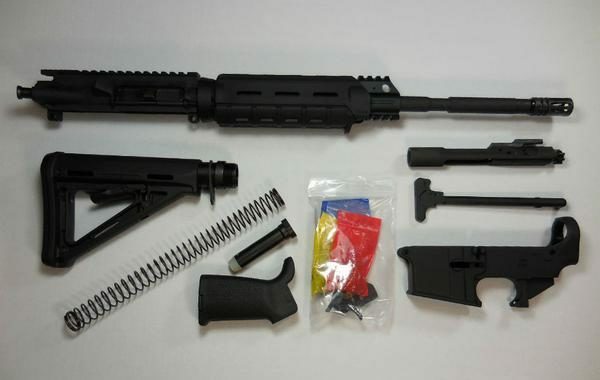 The Kit Has Upgraded Magpul Moe Handguard and Pistol Grip. Upper Receiver – M4 Flat-top Upper with Barrel Nut and Delta Ring Assembly. Upper Receiver: Machined from a 7075 T6 Aluminum Forging to tight Military specifications. 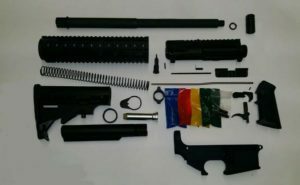 Coated with a Hard Coat Type III Anodized Finish. 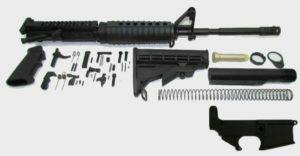 Upper receiver also includes the ejection port cover, forward assist, standard barrel nut with delta ring assembly. 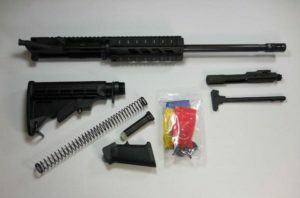 Magpul Moe carbine M-Lok handguard with end cap. 80% Lower Receiver: AR-15 80% Lower Receiver is created from a 7075 T6 Forging and machined to Mil-Spec tolerances with a Hardcoat Type III Anodized Finish. 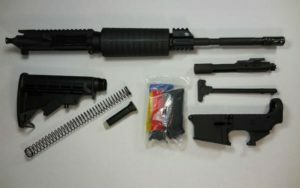 The Lower has a broached magwell area for a perfect fit of magazines every time. Area for rear Lug on upper receiver to seat is milled out to dry fit parts. 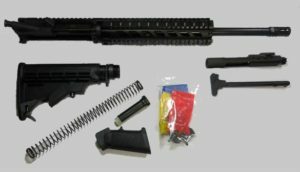 Barrel: 16″ 5.56 Chrome Moly 4150 Steel with M4 Ramp Extension, Nitride Coating with a 1 in 7 twist rate and a carbine length gas port hole. The barrel is setup for a 3/4″ (.750) gas block and the barrel is threaded 1/2-28 on the end for flash hider. 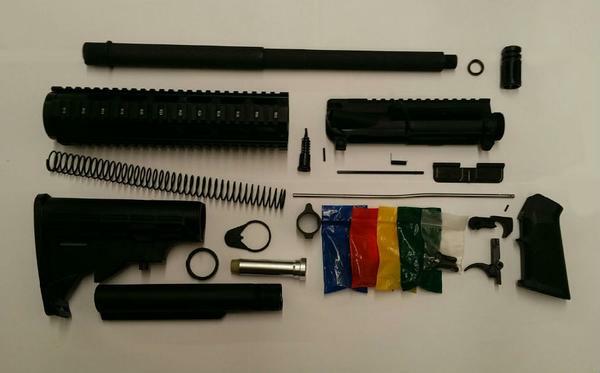 Stock and Lower Parts Kit: Included Stock is Magpul Moe M-Lok Stock. 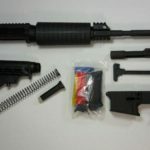 Comes with Mil-Spec diameter extension tube. 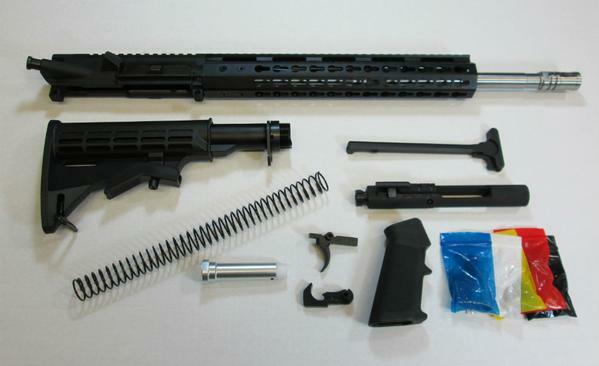 Complete with action spring, buffer assembly, end plate, and castle nut. Also included in the lower build out kit is a high quality Ar-15 Mil-Spec lower parts kit. 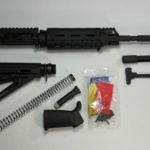 Magpul Moe pistol grip and military style straight trigger guard replace the standard.